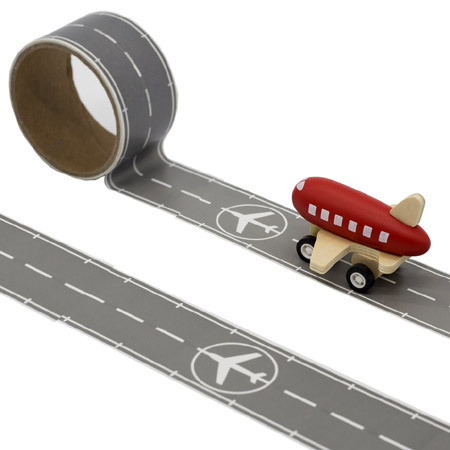 Wooden Plane With Runway Tape is a really clever toy which lets you make runways for a little planes. This plane comes with an 8 metre roll of 5cm wide tape which can be stuck down on a clean surface and then peeled back off and placed back onto the roll. We like this because: "Very well thought out toy."